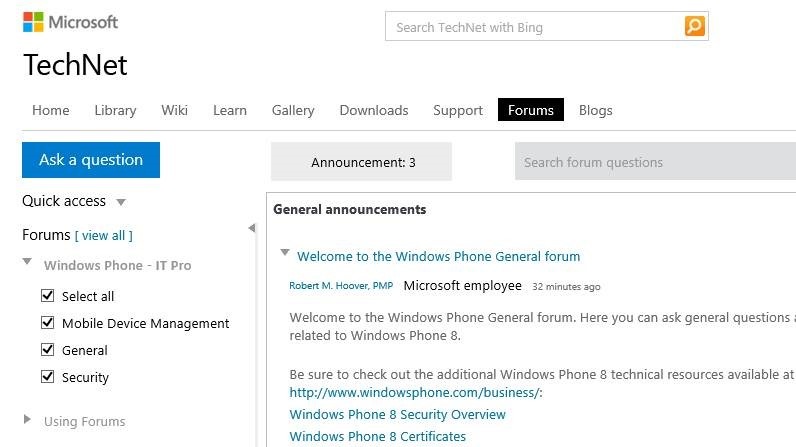 Microsoft today launched a Windows Phone 8 community forum for IT professionals. The discussion board is debuting on TechNet with three categories: General Questions, Security, and Mobile Device Management. Microsoft says the forum will be monitored by its own employees who can answer technical questions about its mobile operating system. It will also be encouraging IT pros familiar with Windows Phone or who have deployed it in their corporate environment to share their insights and best practices.